This information will be used by agents who wish to fit a school logo into the school site's header. Users may need to experiment with the aspect ratio and cropping to get an image to fit appropriately into the header. 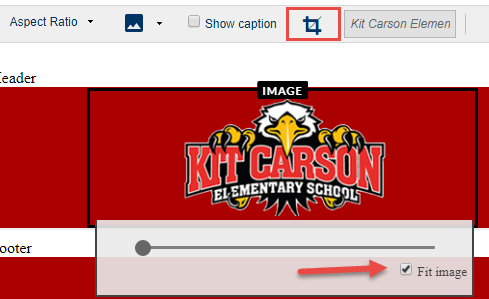 If your logo is still too large for the available space, use the crop button on the toolbar and check the box for Fit image.